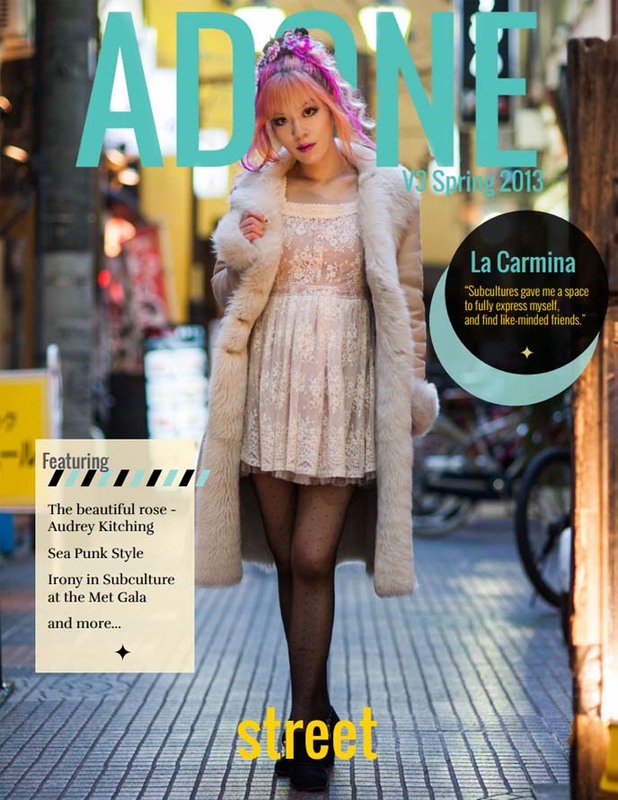 Cover of Adone Magazine: Japanese street style issue! Girly gyaru Liz Lisa dress, Peace Now shoes. I’m honored to show you my latest photo editorial, which made the cover of Adone Magazine, released today! Huge hugs for my Tokyo-based team: photos by Said Karlsson and Hair by Kukukachoo. “ADONE presents our newest issue: Street. We explore this theme with content that is original and not mass-produced, with a feature on the Punk style in this year’s Met Gala and an interview with subculture queen, La Carmina.” The issue is available digitally; you can read it via Adone’s website. 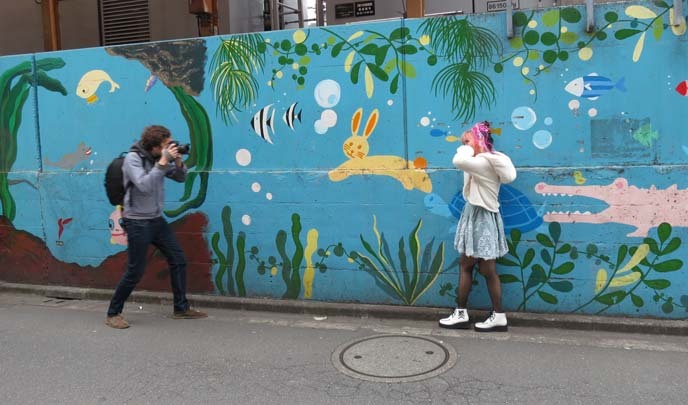 We shot these images in the streets of Nakano, an anime-culture neighborhood that’s a five minute subway ride from Shinjuku. Said’s photography comes to life as the sun is setting, and lanterns are glowing. I loved working with Lulu Kukukachoo, a freelance professional hair stylist specializing in avantgarde, extensions and cuts. She made these hair flowers herself, out of colorful acrylic strands! Lulu’s skilled at everything from basic cuts to editorial works of art. If you need a Tokyo hairstylist, I hope you’ll reach out to Hair by Kukukachoo. In front of Nakano subway station, north exit, with my ultra-cute Luxy Loli phone case. 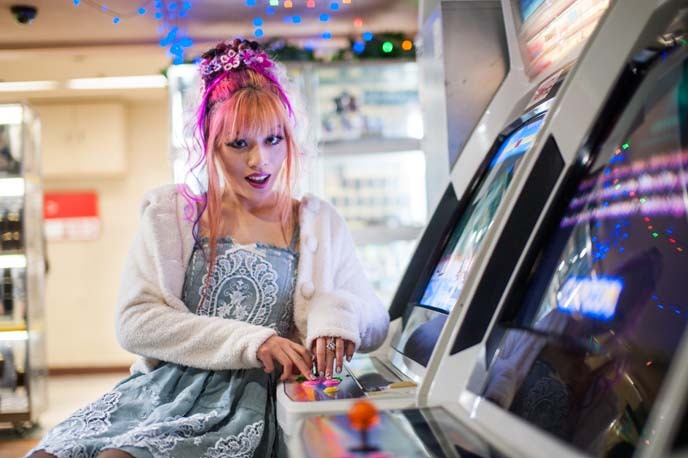 Such fun to shoot in Nakano; there’s anime, manga and video game culture everywhere. I peered into a crane game machine. We darted into a Broadway retro video game center for this shot. My baby-blue lace dress is Liz Lisa x My Melody, bought in Shinjuku Studio Alta. Lulu took a few behind-the-scenes shots. 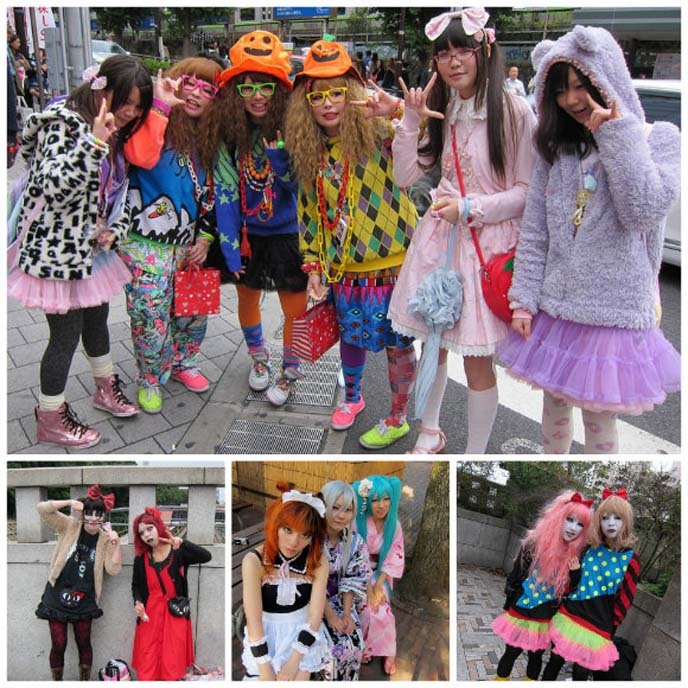 Said also runs Tokyo Faces, a Japanese street style photo-blog updated daily. The rainbow mural, dotted with animals, made a nice backdrop for this outfit (notice my bunny-eared hoodie, by Peace Now). Lacing up my Peace Now pirate creeper shoes. I’m still sad that this Japanese brand closed down. 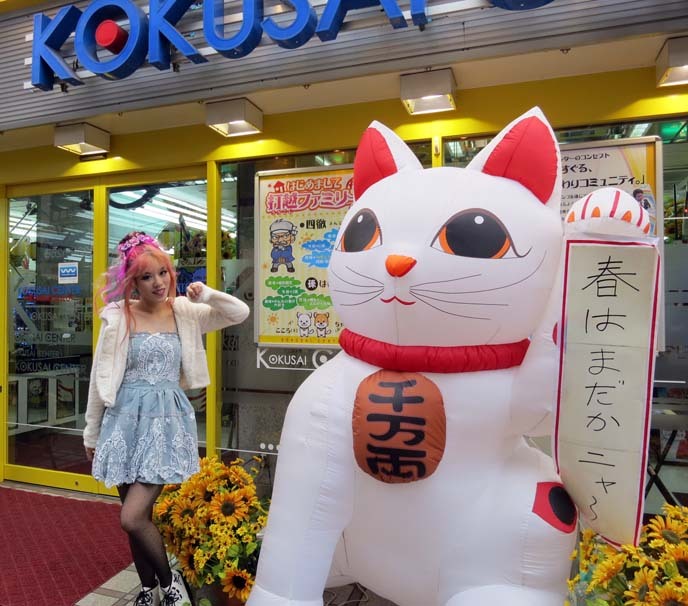 I leave you with a casual snap with an inflatable maneki neko, outside a Nakano pachinko parlor. Enjoy my full Adone Magazine photos and interview — kudos to my hair and photo team for the beautiful work! 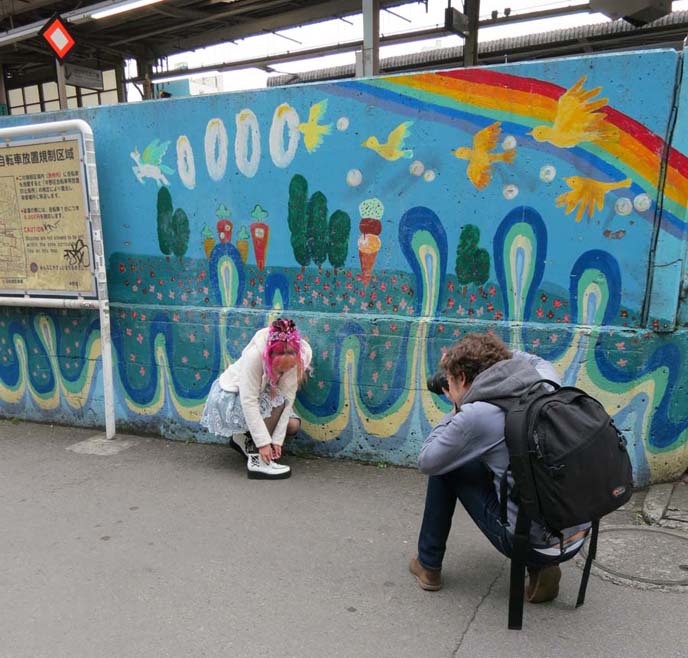 – Heather On Her Travels, for interviewing me in a travel podcast. I shared my favorite food, activities and tips for visiting Tokyo. – My Destination for the Big Blogger Interview. We talk about cats, costumes and keeping things cool on the road. 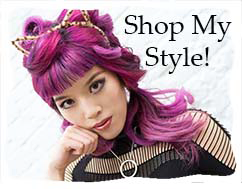 – Style In View, an addictive fashion search engine, for inviting me to curate a vintage alternative collection. What do you think of my colorful-girly-pop look these days? 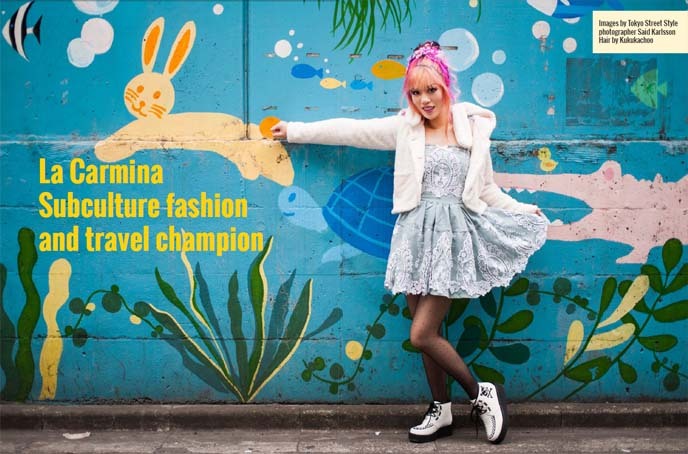 Did you enjoy these street style images? I’ll post more from this series soon, and unveil yet another magazine cover! Loooove the blue dress and white jacket! My beautiful pink haired cover girl! It’s currently my favorite dress!!! I love your hair color there! I have followed your blog for a long time and I have always wondered. How did you get this site? Like do you pay for it ? Or did someone make it? I just really want to know because I would love to have one of my own sometime. Hi Lia, thanks for your kind words and for reading over the years! 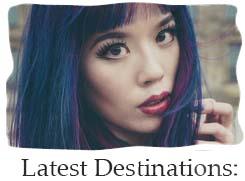 I started blogging in 2007 and built the site through trial and error… I bought this domain name (lacarmina.com) and right now, I have WordPress installed on it. I use Amazon Cloudfront to host the images, so that they load fast from servers around the world. 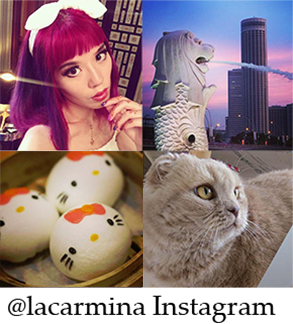 I do all the blogging / upkeep myself, but my friend Naomi (www.naomiyaki.com) designed the theme (which is the look of the blog). So right now, there is an annual cost for owning the URL (domain name), and monthly fees for the image hosting on Amazon Cloudfront, plus monthly fees for the server (I use a specialized service since the traffic is quite high). In other words… complicated! But you can start blogging for free, using a site like wordpress.com – and if you decide to upgrade later, you can. Thanks so much! Loved your big blogger interview! thanks for the lovely words and thanks again for the fab collection! 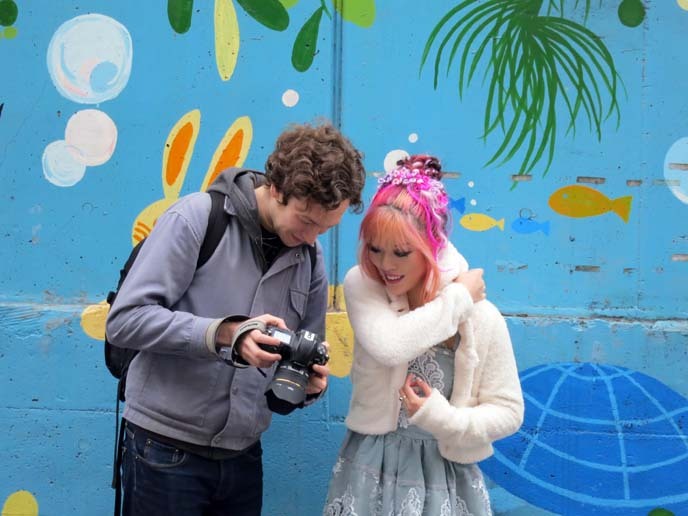 Keep up the great work – I love your pictures and your blogs!! Thank you so much, lots of love! I like your new style. It’s whimsical and brightens up a lot of the photos. I especially like the shot of you peeking in the crane machine. The colorful items match you hair pretty well. Soshigaya-okura has an amazing tan-tan-men restaurant right next to the station, go out the only exit (past all the Ultraman posters), go left and then immediately hang a sharp left (like a u-turn, pretty much) on the first street that leads behind the station and the tan-tan men shop is immediately on your right. It’s amazing, and they have a non-spicy version that is great with vinegar in it! Highly recommended!